The Palestinian Authority (PA) began to establish export-oriented industrial zones when it was created some two decades ago, partly in response to donor recommendations and partly in line with the neoliberal policies it was introducing. Thus, Palestinians have been hearing for years about Turkish-German, Japanese and French industrial parks in Jenin, Jericho and Bethlehem, respectively, but, tellingly, they have rarely heard these described as Palestinian. The debate about the zones, also known as parks, is polarized. The PA, its international sponsors, and the PA-dependent private sector see the industrial zones as a pillar of the state-building effort that will bolster the Palestinian economy and achieve sustainable development. The zones’ critics argue that they reinforce and legitimize the occupation by making the Palestinians even more subservient to Israel given that the PA has to rely on the occupiers’ good will for access, movement and for transfer of tax revenues. In addition, the zones give Israeli companies a legal way to penetrate the Palestinian economy. Moreover, the zones distort the Palestinian economy by ignoring its natural advantages, such as tourism and its related industries, as Sam Bahour describes in a compelling piece. They also override the imperative of resisting the occupation to win self-determination, freedom, justice, and equality. This imperative requires an entirely different kind of economic policy, one that is less vulnerable to Israeli control by being based on small-scale agriculture and industry targeted primarily at the local market and by fostering economic steadfastness rather than export-led growth. 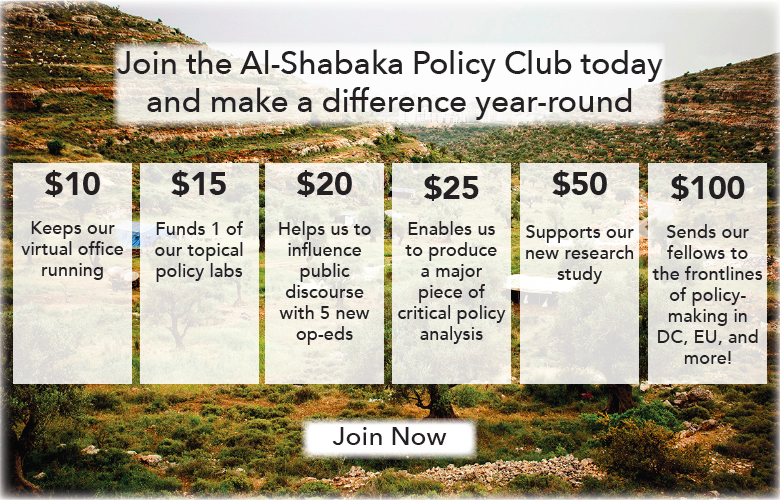 Al-Shabaka has argued for this approach in pieces on farming, growth, the resistance economy, and alternative approaches to aid, among others. 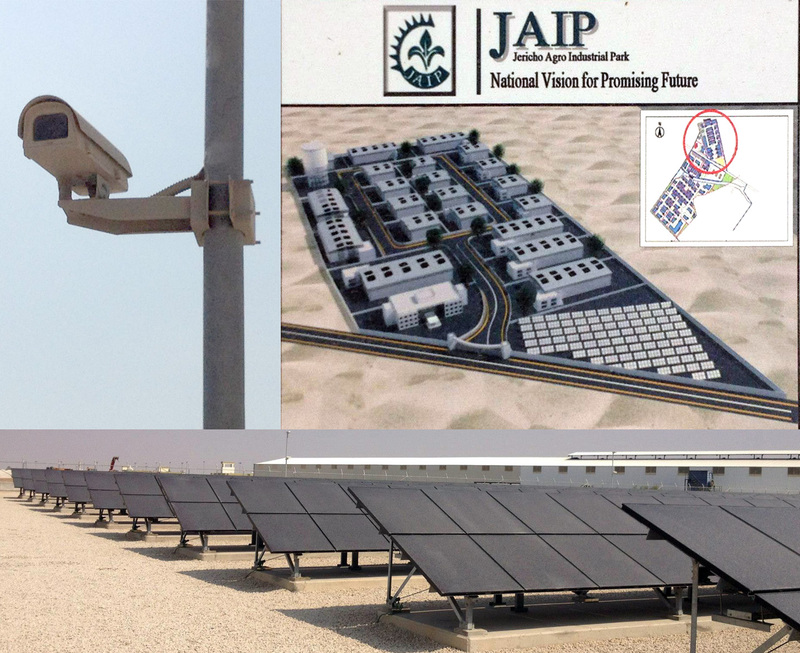 The Jericho Agro-Industrial Park (JAIP) initiated in 2006 and supported by the Japanese International Cooperation Agency (JICA) to the tune of $47.7 million is a stark illustration of the problems with industrial zones. A full discussion of the issues is set out in a study published by the Bisan Center for Research and Development in September 2012, as well as in a position paper by this author published by Bisan in December 2012. This commentary, which draws on the fuller study, takes forward two themes, the lack of public accountability and the role of donor-driven aid. According to the official view, JAIP differs from other Oslo-designed projects because it is located deep inside Palestinian land rather than on the border with Israel, as was the case, for example, with the now defunct Erez Industrial Zone. But this is naive, to say the least. How can one refer to something as being deep inside Palestinian territory when Israel controls Palestinian borders and is, furthermore, rapidly colonizing the Jordan Valley? Much more problematically, a report by Stop the Wall quoted a preliminary JICA document that appeared to propose providing direct support to and benefiting from the Israeli settlements in the Jordan Valley – euphemistically described as “Israeli migrant firms” – despite the flagrant illegality of Israel’s settlement enterprise. The JICA project did not even comply with the Oslo Accords, Paris Protocol, and Agreement on Movement and Access – bad as these agreements were for the Palestinian people – according to the Negotiations Support Unit advising the Palestine Liberation Organization, which opposed the project, according to the Palestine Papers. The Guardian describes the Japanese purpose in launching their "corridor for peace and prosperity" in the Jordan Valley as to encourage cooperation between Israel, the PA, and Jordan. This goes directly to the heart of the problem: How can there be cooperation between the occupier and the occupied until the occupation is over and the Palestinians are able to exercise sovereignty? The fact that there is no agreement yet on the third phase of the project, which is supposed to be located in areas classified as "C" under the Oslo accords, underscores this point. As is well known, Israel is also rapidly colonizing and depopulating Area C, which covers over 60% of the West Bank, and not only preventing but also destroying donor and PA projects there. Even at the most basic level, public accountability is missing in this initiative. The feasibility studies, reports, important strategic papers, and financial records are not publicly available in Arabic, and the Arabic website simply contains some brief progress reports. The availability of materials in the national language is a minimum for national ownership of a donor-supported project, as recommended by the Paris Declaration on Aid Effectiveness, to which Japan and the PA say they subscribe. Publicly accessible information is not only important for the Palestinian public. It is also important to justify this aid to Japanese taxpayers so that they know whether their contributions are actually good for the Palestinian people or not. One would assume that the Japanese public would be concerned about the fact that the initiative for the project came from Japan despite the mixed record, to put it mildly, of development assistance in the OPT and particularly industrial zones, and the fact that the project is still struggling after six years of work, largely due to the obstacles Israel has put in its way. Besides, JICA is one of the "cooperation agencies" that often retains its funds for itself or funnels them back to Japan directly and indirectly by using Japanese experts, goods, and services. For example, the extensive solar system installed in the project is Japanese from A to Z: donor, contractor, consultant, provider, and installer. It would actually be more correct to describe Japanese funds as investment, rather than aid. The purpose here is not to single out Japan for criticism but to draw attention to the problems with much of the donor aid to the OPT. Beyond the issues specific to the Palestinian context, there are problems with industrial zones in the region and around the globe, which include exploitation of workers, pollution, and siphoning of funds away from the national economy. These should also be the subject of public debate in the OPT. Bahour’s study gives as an example the Jordan Qualified Industrial Zones established after the Israeli-Jordanian peace agreement in 1994. Not only did that initiative, promoted by the United States in both Jordan and Egypt to “promote” peace, open doors to Israeli penetration of the Jordanian and Arab economies, the zones barely created jobs for Jordanians: 75% of the jobs are carried out by foreign workers. The bottom line is clear. JAIP is yet another example of avoiding the roots of the problem facing the Palestinian people. It was not built to challenge the occupation and colonization and decades-long denial of rights, but rather to impose an economic peace between the colonizer and the colonized. This reality cannot be masked by talking of profits, economic efficiency, and other technical jargon. Palestinian civil society must advocate for a national consensus regarding Israel’s role in projects such as JAIP. To state the obvious, it makes no sense to deal with Israel as both a partner and colonizer and the intricate joint network of businesses and relationships with Israel must be dismantled as soon as possible. There is also a pressing need for Palestinian civil society to demand accountability for both individual projects and the overall development approach. There is an important role for the Palestinian youth movement to play here in collaboration with independent civil society organizations. Such a role should not only challenge the glaring mistakes of the past, but also go beyond these to redefine development in the Palestinian context as a process that leads to freedom and rights. 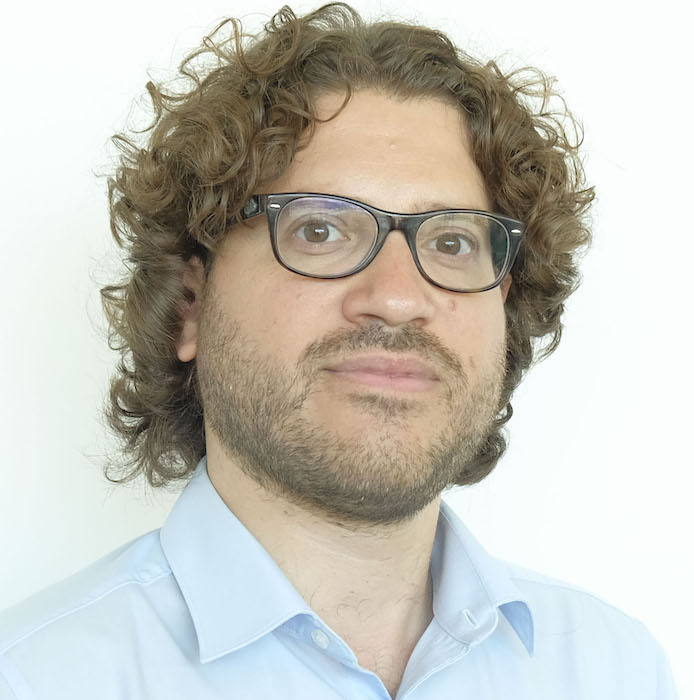 For further information on this subject, see the position paper that Alaa Tartir prepared for the Bisan Center for Research and Development, Jericho Agro-Industrial Park: A Corridor for Peace or Perpetuation of Occupation? (PDF).